Our company has emerged as one of the leading manufacturers, suppliers and exporters of Color Coated Coil. Our offered products have garnered immense attention in the market for their impeccable attributes such as light and beautiful appearance, high erosion resistance, longer service life and many more. We are a highly quality conscious firm, therefore, we strive to maintain high standards when it comes to the quality of our products. 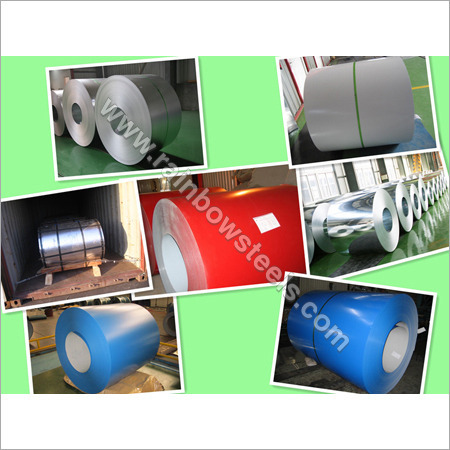 Therefore, we use the best raw material to manufacture our Coated Color Coil. As a result, these are appreciated for their base material, thickness, impressive width tolerance, etc. Further, we pack these in such a way that there are absolutely no chance of damage during its transport.